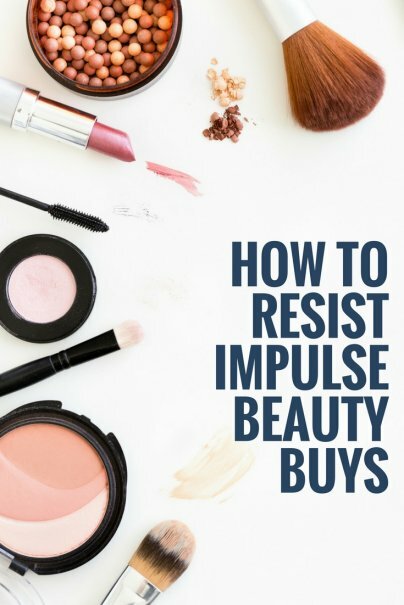 Are you an impulse beauty shopper? Do you find yourself buying stuff in a desperate attempt to look and feel better, only to find yourself crushed under the weight of your credit card bills? It's been said that luck favors the prepared. What that essentially means is, the prepared are merely better equipped to deal with life. And being prepared is the ultimate weapon in the battle against the impusle buy, especially those purchases pertaining to personal appearance. Here are two problems and two solutions that I have come up with to help me save money and save my sanity when it comes to beauty. Problem: You feel bloated, gross, and generally unattractive. It's a bad hair day, your fingernails are dirty, and you're finding wrinkles around your eyes that didn't used to be there. You woke up too late to pull a proper outfit together, so you're wearing unwashed clothes, and you forgot to reapply deodorant, so you are struggling to keep your arms at your sides. You feel, in a word, icky. And OF COURSE everyone around you looks stunning. Old Solution: You book yourself a haircut and manicure during lunch, and drop by Target (or Saks Fifth Avenue) for some new duds on your way back into the office. New Solution: I used to have this problem all the time. Sometimes, I still do. If I oversleep, or underestimate the amount of time I need to get ready in the morning, I might end up dashing into the office wearing yesterday's outfit with paint in my hair from the remodeling that I've been doing. Man, it can be tough to get through the day when you feel and look like crap. Just in case I wake up late and don't have time to look my best, here's what I've come up with to keep my morning mistake from turning into a spending disaster. I carry some supplies with me: small travel pouch with makeup, antiperspirant, styling product, blemish control, and nail clippers. These items can help me go from looking and feeling grimy to looking and feeling normal. I also keep some baby wipes in a little plastic baggie - sort of like a portable sponge bath. These are especially helpful during sandal season, when my toes get all gross and dirty by the end of the day, and I still have a night out with the girlfriends planned. Problem: You're flipping through a fashion magazine at home, admiring Gwen Stefani's abs, Jessica Biel's posterior, and Rosario Dawson's flawless skin. You get up for a drink of water and catch a glimpse of yourself in the mirror. You just about fall over from fright. Your hair is limp and lifeless. Your eyes have dark circles underneath them. You have wrinkles. You have flab. Old Solution: You don a baseball cap and sprint to the nearest drug store. Armed with microdermabrasion kits, hair masques, cellulite-dissolving cream, and nail polish, you return home to fight the battle against ugly. You find a cosmetic surgeon online and book an appointment for some collagen and Botox while you're at it. New Solution: It's time to let go of the magazines. Magazines cost you a lot every year. Not just in the cost of the newstand price or the subscription, but in what magazines drive you to purchase. Memorize this little fact - celebrities and models are human, and they can look as ugly as you and me. My mother used to scoff at my fascination with celebrity glamour, and tried to downplay my resulting dispair over my own fully human appearance. "You think that's natural? That's airbrushing!". I didn't believe her then, but thanks to the internet and a few years of experience, I now know that NO ONE looks as good as they do in the magazines. Celebrities and other "pretty" people have TEAMS that prepare them for every outing, every event. Even the more 'candid' photos you see in magazines of so-and-so at a charity event are touched up, removing cellulite from Giselle's buttocks (yes, Giselle has cellulite) and erasing years from Goldie Hawn's mug. Jamie Lee Curtis graciously posed for More Magazine a couple of years ago, showing what she looks like before and after she was 'done up' by the More team of beauty magicians. Jamie Lee Curtis is a really cute lady, and even her before pictures look fine, but it's NOTHING like the after picture. There's nothing wrong with trying to look nice, but those of us who spend hours obsessing over our perceived imperfections are wasting our time, striving for a beauty ideal that doesn't, CAN'T exist outside of the glossy pages of a magazine. This is two-dimensional beauty at its worst. If you find yourself trapped in a vicious beauty circle, spending your way into debt while striving to attain a perfection that is unreachable, consider a different form of entertainment. I love me some magazines, but I'd rather read the ones with more content - news, travel, cooking, or home decor. Branch out a little. Read a book. Don't let Vogue tell you what you need. Agreed... I couldn't believe it when I Googled some photographers who had taken pictures for magazines. The before and after pictures of the models really hits you in the gut because they have wrinkles, cellulite, bags under their eyes, not so perfect hair.. yet if you looked in a magazine, you'd start to loathe yourself and what you look like. I'm definitely getting rid of all of my magazine subscriptions once they run out. Check out the Dove campaign's Evolution Film for an excellent example of how distorted the beauty industry is. I didn't link to Dove because I'm slightly put off by their campaign, which I find rather cynical. However, that video is an excellent example of how real faces and bodies are distorted to an impossible ideal. This is exactly what I use to do! 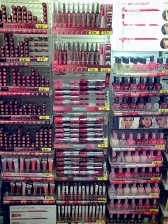 I say use to because I am starting to do a lot more research on the beauty industry and self-evaluation as well. Thanks for the good laugh. I'll keep this in my pocket. Being a woman over the age of 50 I have learned to stop being so hard on myself. After seeing Jamie Lee Curtis' transformation in MORE magazine, I decided then and there to keep aging at bay by not having any kind of nip or tuck, instead using more natural, external and more importantly , internal potions and lotions...I feel better and am being told, look younger as well...I am forever grateful to Ms. Curtis, she saved me a lot of "OMG what's happening to my body?!" moments and instead, kicked in my sense of humor about my self image...Thank you Andrea for all you do ! But I believe more in maintenance - for that you have a regular beauty routine which you update regularly. Just ordered some night cream online, for example, as I am almost out. (It was on sale.) And I always have eye cream on hand, and moisturizer with sunscreen, et al. There are also coupons for mascara, and other beauty products - like the Olay lines. I buy those on sale and with coupons when I can. I DON"T get my hair done while down because I am afraid how it will turn out - that I won't be assertive enough to demand what I WANT! - And I still think I can do my own makeup better than a dept. store makeup artist! So I realize in this realm I am not impulsive AT ALL. Except in as much as I buy brand products deeply discounted at dollar stores and so on! I know what suits me & I more or less stick to it. Getting dressed up and going out and pulling myself together cheers me up, tho! I'm not as much of an impulse beauty shopper, as I am a clothes shopper. Although, I don't have any subscriptions to "glossies", I do have catalogs/mailings delivered from J.Crew, Ann Taylor, Banana Republic, etc. Today I've cancelled all of my email/mailed subscriptions. Reading this and "Knowing Your Triggers Can Prevent Emotional Spending" spoke to me. The well-designed catalogs and "New Arrivals" emails are/were my triggers. I would buy clothes/shoes/accessories that I don't need to feel a certain way. While doing so, I was also wasting money that I could have been saving. Although I could easily blame the power of advertising (I work in the field), I know it's more of an internal thing that I will have to work through; but it's good to know that I'm not alone. Thank you so much Andrea. I enjoy reading your blog, and have found it to be very motivational.